KEN YUSZKUS/Staff photo. Peabody Mayor Ted Bettancourt lets a pitch fly during the game. 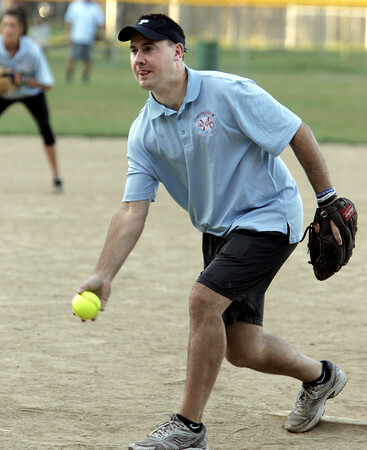 Peabody and Salem city officials played the second annual softball game, this game benefited Haven From Hunger. 9/4/15.